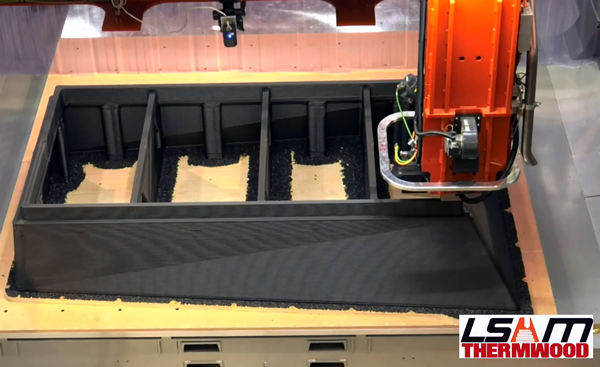 Watch the Thermwood LSAM 10'x20' print and trim a concrete mold out of carbon fiber-filled ABS. 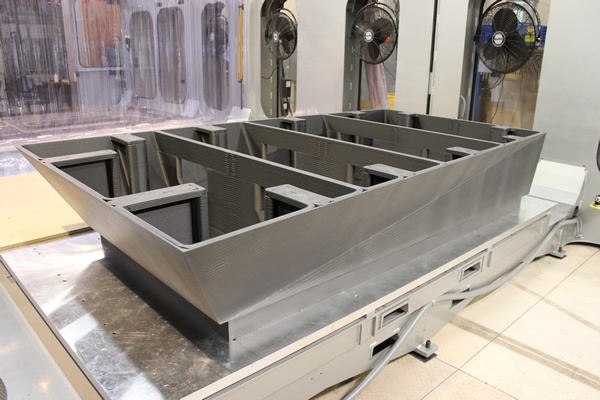 Thermwood LSAM 10'x20' recently 3D printed and trimmed a concrete mold out of carbon fiber-filled ABS. This part was designed by Gate Precast, for a project to be completed by Additive Engineering Solutions (AES). 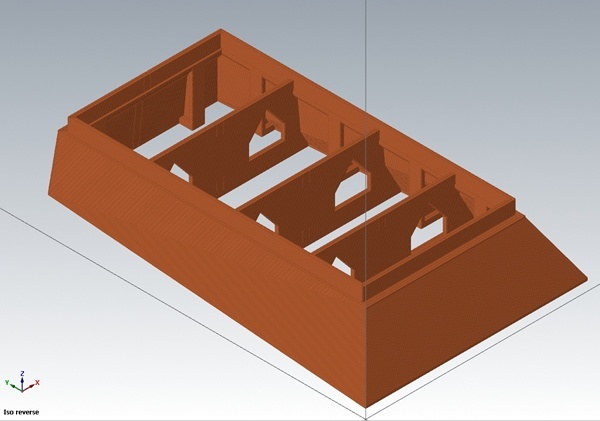 The part as shown in LSAM Print3D software. We will be exhibiting at the upcoming CAMX 2017 in Orlando, FL (booth #Q23). If you plan to be in the area, stop by and see LSAM parts and speak to our knowledgeable reps to answer your questions. 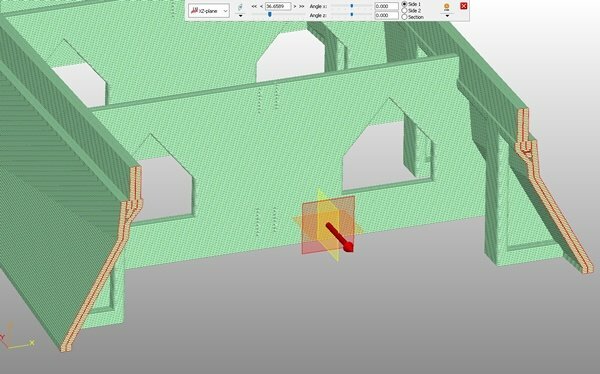 Thermwood offers a line of dual gantry additive manufacturing machines which both print and trim parts on the same machine. These are large industrial additive manufacturing machines that print and trim on the same machine and can be up to 100 feet long. The Thermwood LSAM is used to produce large to very large sized components from reinforced thermoplastic composite materials. 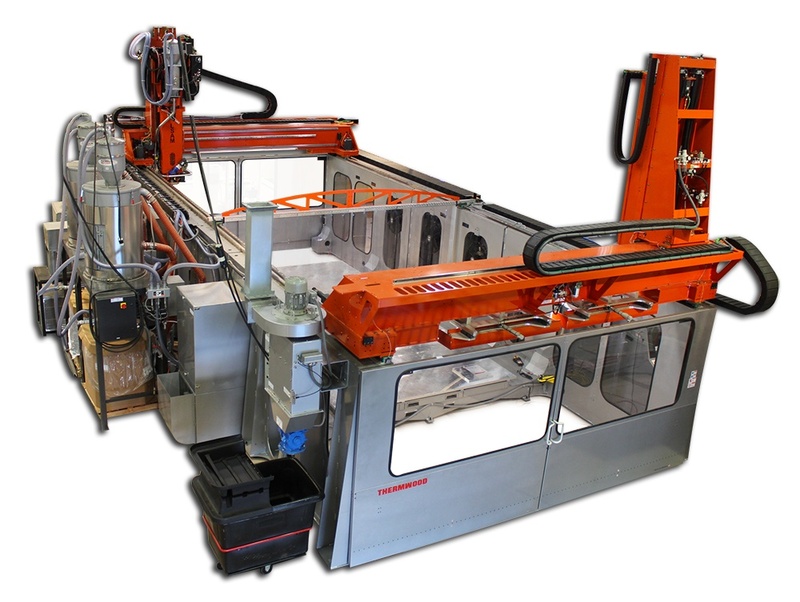 Although suitable for producing a wide variety of components, Thermwood is focusing on producing industrial tooling, masters, patterns, molds and production fixtures for a variety of industries including aerospace, automotive, foundry and boating.